The management of Valve are not fans of the traditional workplace hierarchy where everyone is given a specific task. 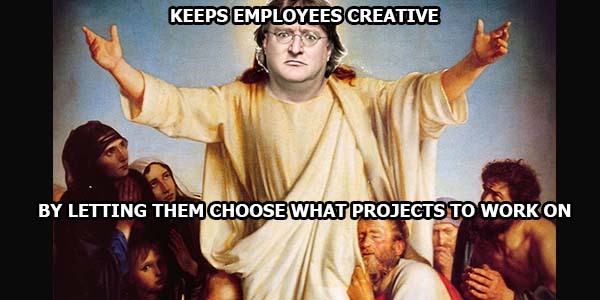 Instead, all Valve employees have the power to choose what project to work on, greenlight new projects and even release new products. All of this is done to keep employees as creative as possible.